After a terrible 2016, I decided that we had to have a better one this year. Everything was going smoothly. Having given up one of my jobs in November, I got a call a week or so later for another job, so I was back to 2 part time jobs. Still left time for me. However, this year both jobs picked up, meaning I had to do more hours. Then in the midst of it all, my husband fell off his pushbike and badly broke his elbow. We are now 10 weeks past that, with surgery, umpteen doctors’ visits and such. I decided a few weeks after he did that to let go one of my jobs. I kept the newest one and am very happy. As my workload increased with my husband being useless for many weeks, I hired a cleaner, outsourced the ironing and got a mowing man. Hubby will take over the mowing in a few weeks when he feels better equipped to handle it. But I am not giving up the others as work has increased, and I need time to myself to satisfy my passions. 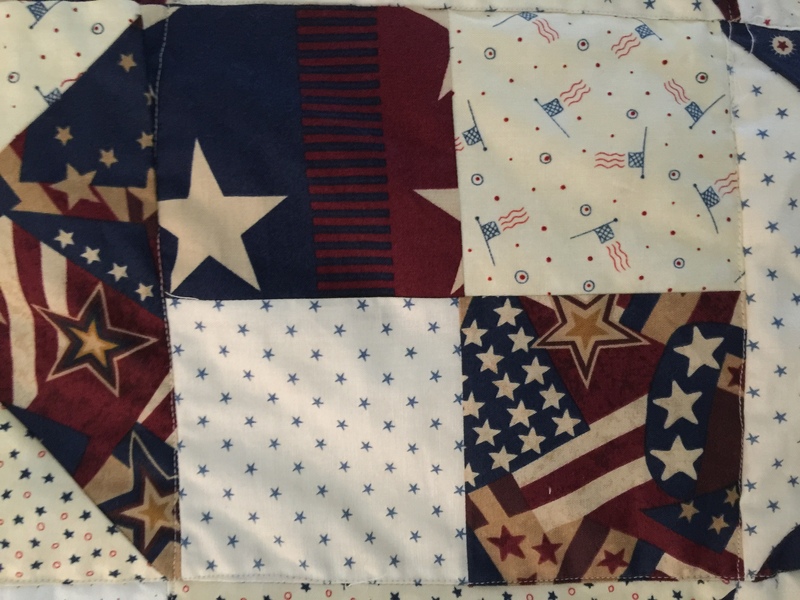 I have been quilting up a storm. I shall share with you all the things I have done over the next few weeks. I am working 4 mornings a week in the office and then a couple of hours from home on Fridays. Here is a sneak peek of my quilts.